It was a great day. All the staff that work for Cruise Whitsundays were friendly and approachable. They also kept us informed of what was going on. The trip allowed lots of time to look around at our leisure. They were well equipped at Whitehaven beach, providing water and sunscreen to those who needed it. Was a very enjoyable day. Thanks to all concerned. 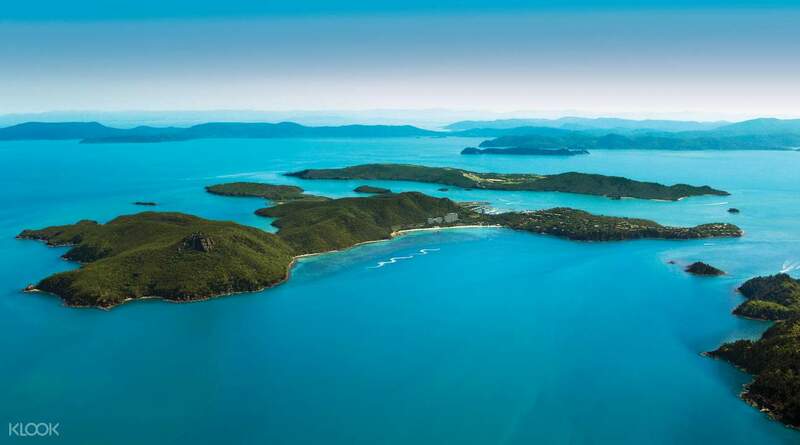 Spend a day at Whitehaven Beach and Hamilton Island - two of the Whitsundays and Australia's most famous destinations. Known for its fantastic scenery - crystal clear waters, white sand beaches, and stunning views, there’s much to see and do on both destinations. 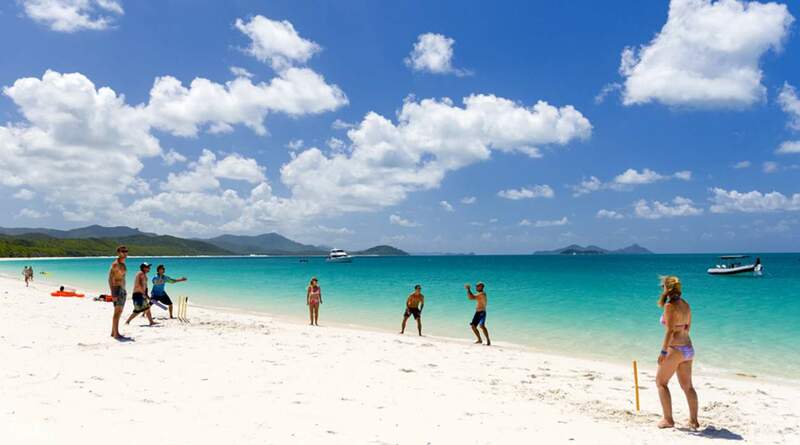 Get to discover all there is to Whitehaven Beach and Hamilton Island with this full day tour. 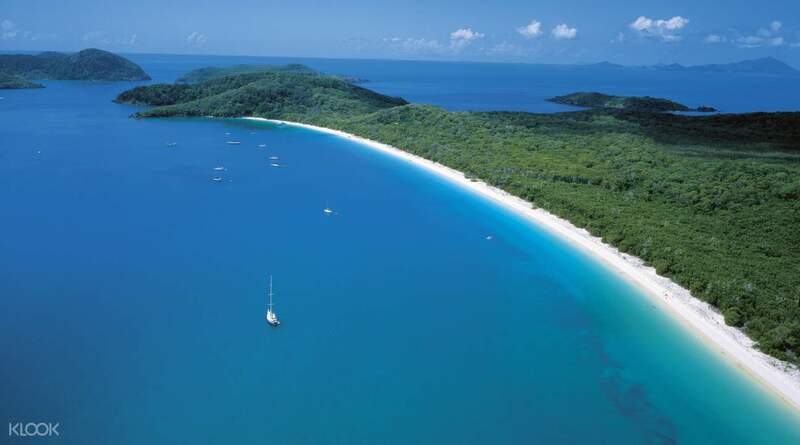 Spend your morning on either Whitehaven Beach or Hamilton Island. 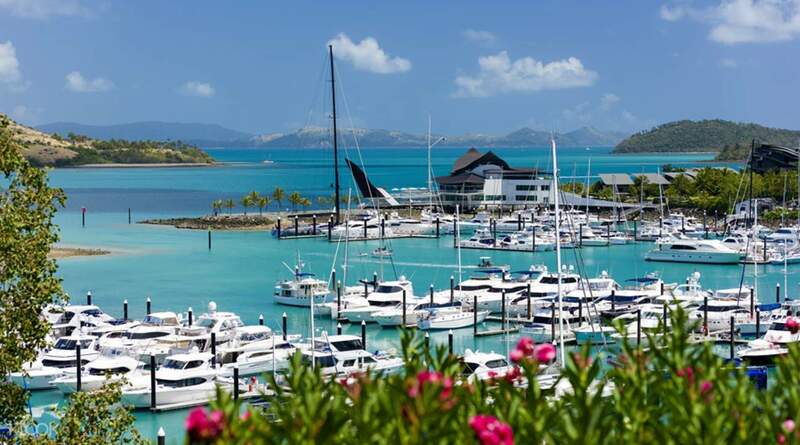 Depending on your chosen schedule and package, you can either spend the morning on Whitehaven Beach, or head straight for Hamilton Island. On Whitehaven Beach you can explore the beauty of the entire stretch. Take a dip in the crystal clear waters, go on a self-guided hike to the Hill Inlet lookout, or more! On Hamilton Island, you can opt to take the shuttle bus that'll take you to several destinations on the island, like the swim-up bar in the Main Pool, the long sandy curve of Catseye Beach. Make sure to drop by Front Street, Marina Village for some shopping! After your free time in the morning, enjoy a delicious lunch at the restaurant that goes with your selected package (either Marina Tavern or Manta Ray Cafe), and then head back to the cruise vessel to travel to your next destination, for more free time to explore! It was a great day. All the staff that work for Cruise Whitsundays were friendly and approachable. They also kept us informed of what was going on. The trip allowed lots of time to look around at our leisure. They were well equipped at Whitehaven beach, providing water and sunscreen to those who needed it. Was a very enjoyable day. Thanks to all concerned. It was a great day. All the staff that work for Cruise Whitsundays were friendly and approachable. They also kept us informed of what was going on. The trip allowed lots of time to look around at our leisure. They were well equipped at Whitehaven beach, providing water and sunscreen to those who needed it. Was a very enjoyable day. Thanks to all concerned. A good day spent. Many staff onboard and service is good. Don't understand why cruise company has to disallow guests wishing to just stay onboard when in Whitehaven Beach when the boat was just there waiting the whole time. Package lunch at Mantaray is very big in portion despite only a 2 course lunch. Free shuttle bus in Hamilton island is very good. Can circle around island by taking green bus connecting blue bus. A good day spent. Many staff onboard and service is good. 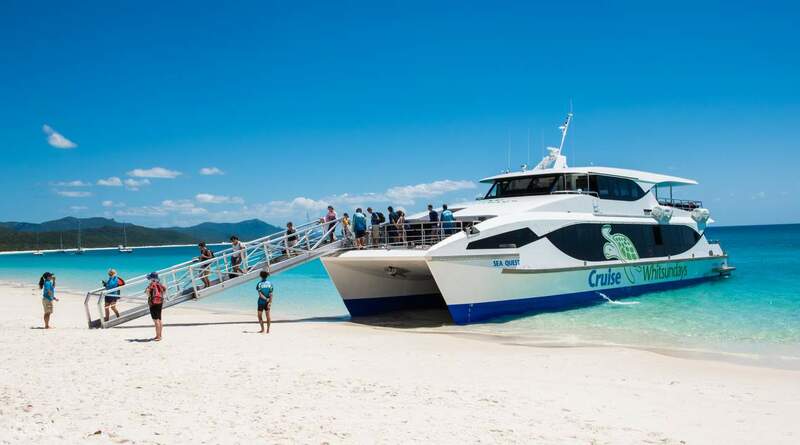 Don't understand why cruise company has to disallow guests wishing to just stay onboard when in Whitehaven Beach when the boat was just there waiting the whole time. Package lunch at Mantaray is very big in portion despite only a 2 course lunch. Free shuttle bus in Hamilton island is very good. Can circle around island by taking green bus connecting blue bus. Beautiful places. Nice weather, Good view! We had a great time. Beautiful places. Nice weather, Good view! We had a great time. Very good experience!!! Nice and comfortable trip. Very good experience!!! Nice and comfortable trip.